If you don’t have smoke or CO detectors (or yours are broken or malfunctioning) it’s time to get some installed. 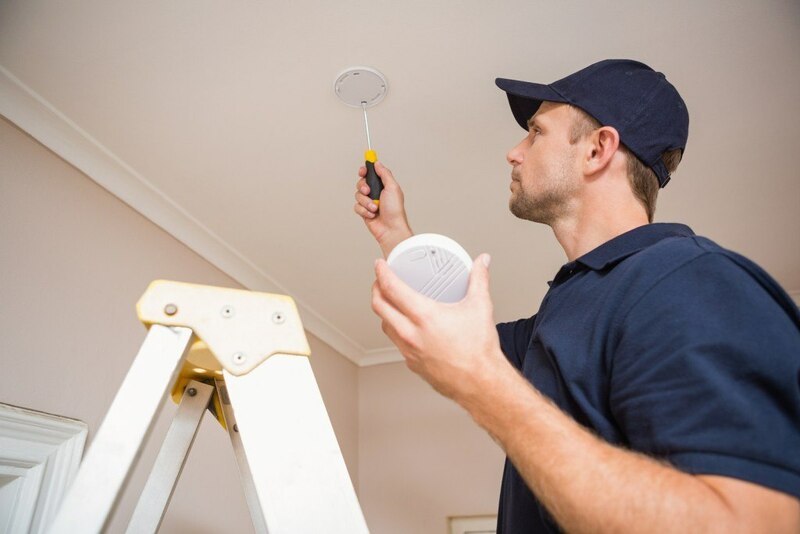 While their bouts of persistent beeping can be annoying, the simple fact of the matter is that smoke detectors and carbon monoxide detectors save lives. Why is it important to have a carbon monoxide detector? According to the Consumer Product Safety Commission, Carbon monoxide (CO) alone claims the lives of more than 150 people in US every year in non-fire related incidents. In 2010, fire departments around the country responded to over 80,000 reports of carbon monoxide in which the deadly gas was found. 80,000 confirmed incidences, and that number will only increase as CO alarms become more widespread. Keep your home and family safe from carbon monoxide. So, is your home protected against this colorless, odorless, and poisonous gas? Normal smoke detectors do not detect CO, and it may not be apparent to anyone in your home that they’re being poisoned. The scariest part about carbon monoxide poisoning is that it can happen slowly over time if the leak is small or very quickly if the leak is big. We all know that fire is nothing to mess around with, which is why we install smoke alarms in all of our bedrooms and in other key areas of the home. CO detectors don’t need to be in every bedroom, but should be installed in central areas outside of each sleeping area. Every level of your home needs a CO detector as well. Both smoke detectors and carbon monoxide detectors also need to be checked regularly to ensure that the battery is still alive and the detector itself is still functioning. Perform regular checks of your detectors—these systems save lives every single day. Contact us if you need a smoke alarm or carbon monoxide alarm installed or repaired. Schafer Electric Services, Inc knows all of the applicable laws and codes for smoke and carbon monoxide detectors in California. If your home needs a detector installed or repaired, please contact us immediately—our primary goal is to keep all of our customers as safe as possible at all times. Fill out the form below to get in touch with us. Schafer Electric Services, Inc provides excellent, professional service. They came out once for an emergency call on a Sunday morning and again to install some lighting. They were on time, fast and did exactly what we discussed in the estimate. No overages for time or materials and we have been extremely happy with the results. Rated 4.8 out of 5 from 10 reviews. Enter your email to receive special email offers from Schafer Electric.